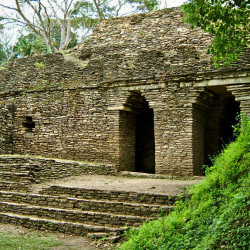 The ancient Maya city of Tonina is set amidst the rugged jungle of the Ocosingo Valley in western Chiapas. 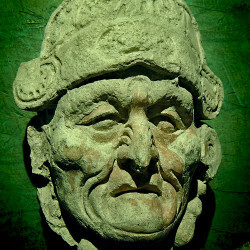 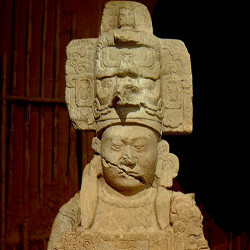 Known historically as either Po or Popo, Toniná became increasingly powerful during the Late Classic period between 600AD and 800AD. 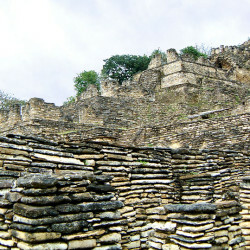 Tonina tussled with the powerful city-states of Calakmul and Palenque for much of its history, which suggests the city was an central player on the political landscape of the Late Classic era. 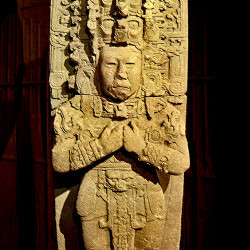 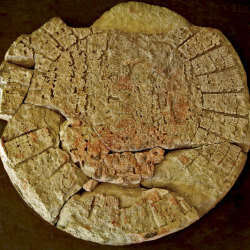 Tonina’s moderate size belies its importance, which has been revealed through the glyphic texts that were carved upon each of its many monuments. 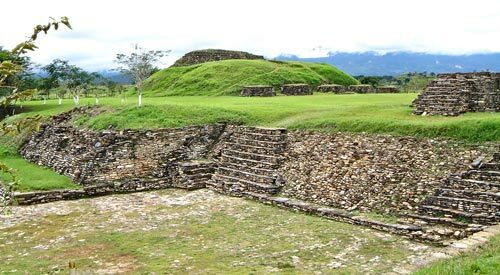 The texts record the history of Tonina through the accessions, births and deaths of its rulers and nobility. 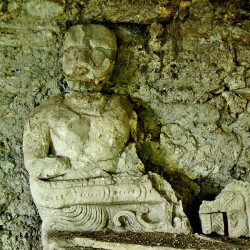 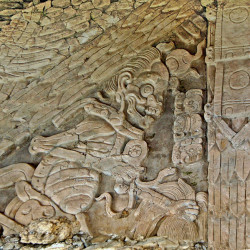 However, Tonina is particularly renowned for the discovery of dozens of carved monuments that feature bound captives and record the city’s many conquests (see the Brief History of Tonina). 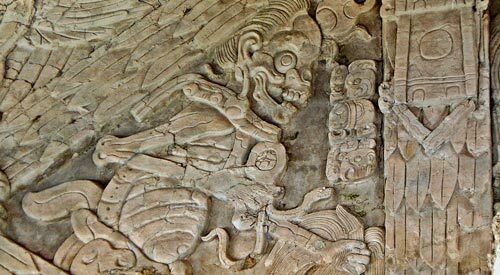 Tonina is also famed for having the last carved inscription that uses the Mayan Long Count, which is found on Monument 106 and records a date of 15th January 909AD. 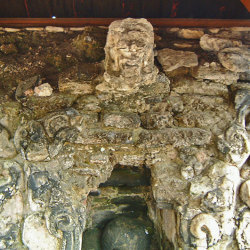 Many of these fascinating monuments are now located in the museum located at the entrance to the archaeological site. 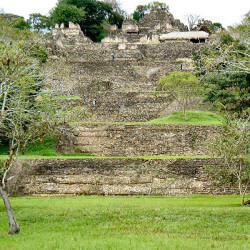 View of Acropolis The archaeological site of Tonina is concentrated on the huge seven-tiered pyramid acropolis that dominated the city and its environs. 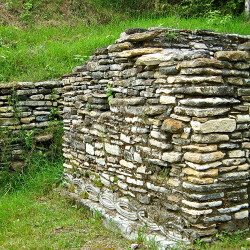 Rising more than 70 metres at the heart of the city, it is easy to be fooled into thinking that the acropolis is built upon a steep hill. 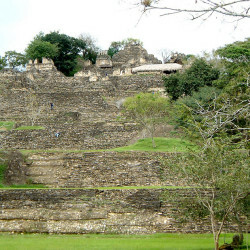 However, excavations have shown that the hill was largely engineered and the upper sections were entirely man-made. 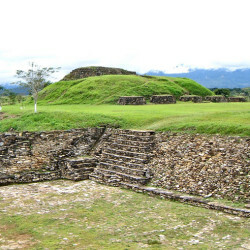 Also, the name of the city, Popo, means white in Mayan and suggests this magnificent structure would once have been encased in stone and finished with a gleaming white limestone plaster. 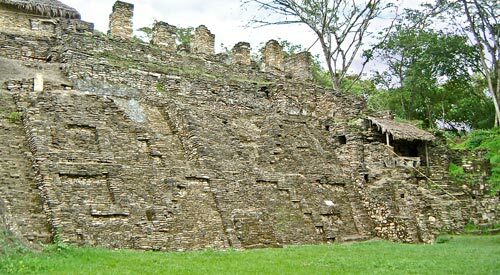 The structure would have broadcast Tonina’s power to all that lived in its shadow or travelled along the trade routes nearby. 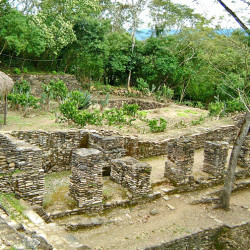 The extent of the city beyond the pyramid complex is still unknown. 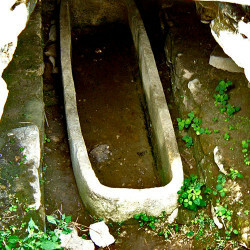 Hundreds of structures remain buried beyond the main acropolis and even beneath the reconstructed buildings of the acropolis. 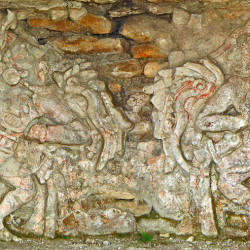 As recently as 1992, a huge stucco panel was discovered on the fifth terrace that is known as the Frieze of the Dream Lords. 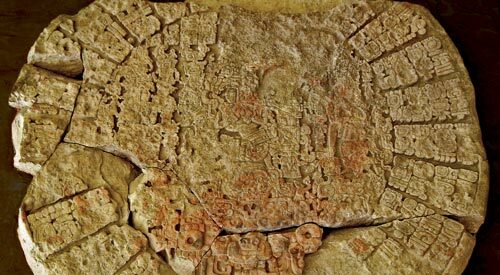 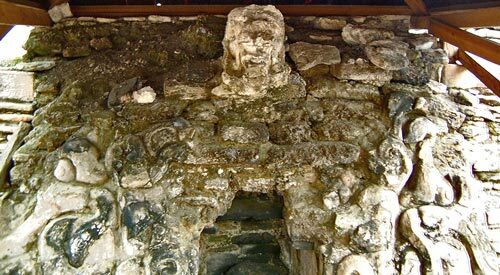 It rates among the largest and most complex Mayan stucco friezes ever discovered and underlines just how much there is still to be uncovered at Tonina. 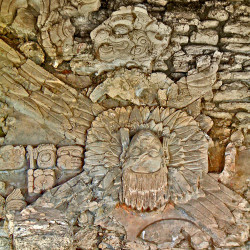 The frieze, like Tonina’s history, is missing large sections, which makes it very hard to determine exactly what it purpose and message was – and this is just one of Tonina’s many fascinating mysteries. 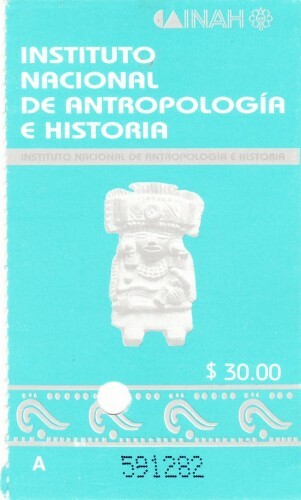 Ticket from 2002The archaeological site of Tonina offers its visitors many riddles that elude scientific or historical explanation, which makes it a fascinating ruin to visit. 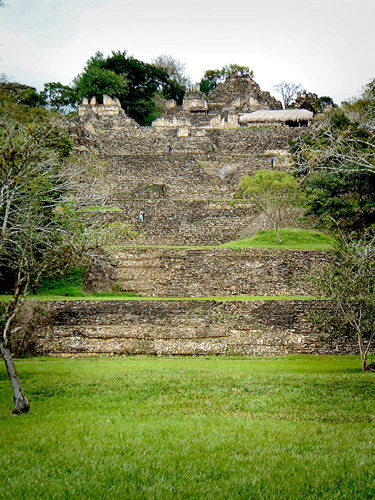 The esoteric features of Tonina’s main acropolis epitomise its enigmatic qualities. 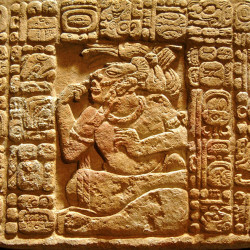 Encoded into the pyramids design are 13 temples, which equal the number of day-numbers in the Sacred Calendar Round (or tzolk’in). 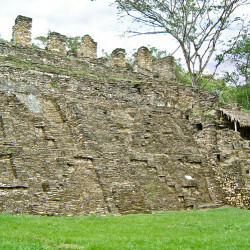 Add the temples to the 7 tiers the temples rest upon and you have 20, equalling the number of day-names in the calendar. 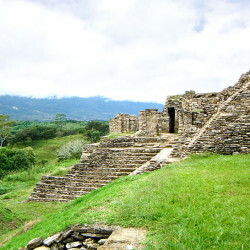 The 13 day-numbers and 20 day-names were cycled together to produce 260 unique day names for the Sacred Round and there are 260 steps that climb the acroplis from the public plaza at the bottom, to the most holy sanctuary at the top. 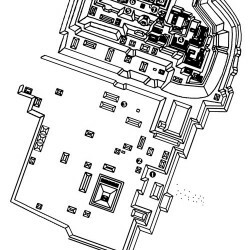 The pyramid’s height also appears to be encoded, measuring 91 (7 x 13) Teotihuacano units (click here for more info). 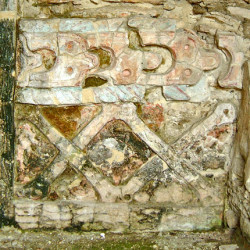 More cryptic messages are found in the Palace of the Grecas, which features an odd matrix of brickwork that forms a coded and now unrecognisable message. 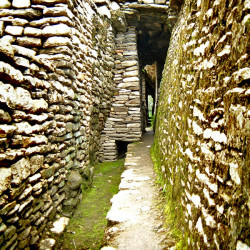 On the first level, the eerie labyrinth within Palace of the Underworld must also have served a greater purpose than is now understood. 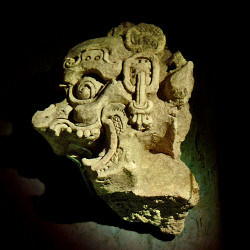 The altar attached to the Temple of the Earth Monster is also the centre of much conjecture, with a mysterious sphere found resting in the jaws of this poorly understood sacred monster. 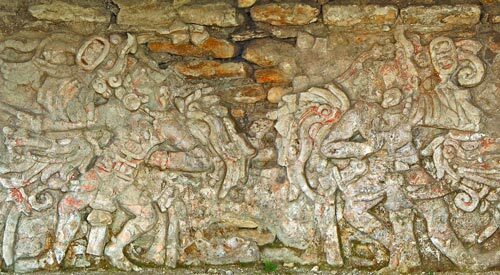 Despite being one of the few pieces of Tonina’s wall art that remains in good condition, the magnificent Frieze of the Bird Dancers also awaits a definitive answer as to what story it presents. 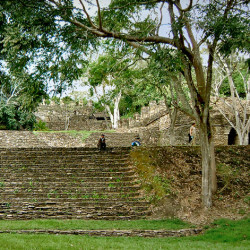 On the public level, within the Great Plaza, there is also a story to be unravelled, with the Sunken Ballcourt, Sacrificial Altar and Temple of the Cosmic War seemingly playing a central role in brutal ceremonial activities and festivities and ritual ball-games that culminated in the city’s captives being beheaded. 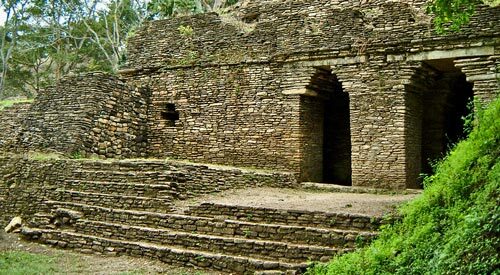 Tonina is generally overlooked as a tourist attraction and you will be able to quietly contemplate its many nooks and puzzles in peace. 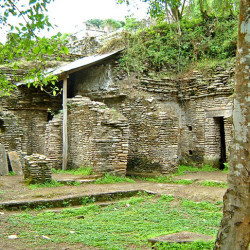 The nearby town of Ocosingo is a very pleasant and quintessentially Mexican town that remains off the tourist trail and makes the ideal place to stay whilst visiting the site. 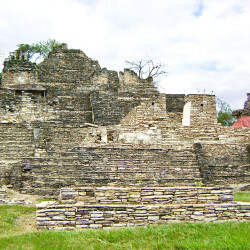 From Ocosingo it is only 2 1/2 hours to Palenque.